If you want to buy a Patrick Henry High School yearbook or sell your Patrick Henry HS yearbook, this is the place to do it. Just make a post below to find another person who went to school in Ashland to make the trade. 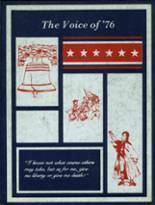 I am looking for a Patrick Henry High 2004 yearbook for my son as a present for Christmas. Would love to purchase a 1972 yearbook! I never received mine. would love to locate a 1970 year book if anyone has one for sale donald strong. I graduated in 1966, but I am looking for a copy of a 1967 yearbook to see pictures of events that took place after the 1966 yearbook was published. I would love to obtain a copy of a 1967 yearbook if anyone has one.